LGBT adolescents who undergo conversion therapy are more likely to attempt to die by suicide, suffer from depression or underperform in school. More than half of adolescent people who are LGBT are being pushed to change their sexual orientation, a practice that could leave them more prone to do poorly in school, suffer from depression, or die by suicide, according to a new study from the Family Acceptance Project. In the study, which surveyed LGBT non-Latino white and Latino young adults aged 21-25, 53 percent said they experienced sexual orientation change efforts when they were teenagers. Of this number, 21 percent said their parents or caregivers tried to change their sexual orientation at home while 32 percent said the attempt was made by both parents and by therapists and religious leaders. So-called conversion therapy has long been condemned by the National Association of Social Workers and other mental health advocacy organization because the practice is emotionally damaging and cannot and will not change sexual orientation or gender expression. The Family Acceptance Project is the first to look at attempts at conversion therapy among adolescents — other studies have focused on adults. 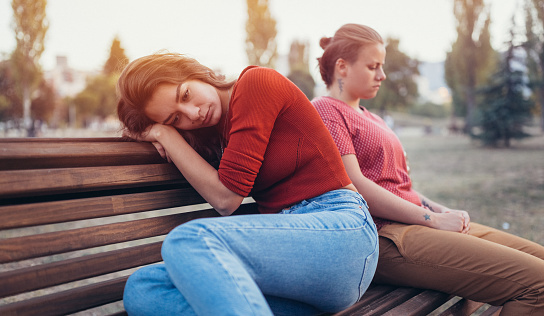 According to the Family Acceptance Project study, rates of attempted suicide are double among young people who underwent efforts to change their sexual orientation when they were in adolescence. Depression rates are almost double. And youth who undergo such mistreatment are more likely to falter academically and earn less income. “Although parents and religious leaders who try to change a child’s LGBT identity may be motivated by attempts to ‘protect’ their children, these rejecting behaviors instead undermine an LGBT child’s sense of self-worth, contribute to self-destructive behaviors that significantly increase risk and inhibit self-care which includes constricting their ability to make a living,” said Caitlin Ryan, a clinical social worker who is director of the Family Acceptance Project. Ryan said her organization is using the study in its culturally sensitive work to help parents and caregivers be more supportive of youth who are LGBT. In their training Ryan said her organization urges social workers and others not to judge parents and caregivers who submit their children to conversion therapy — most mean well and are not aware of the harmful side effects. “I have a lot of compassion because I have seen so many parents who have made deep mistakes and paid a price through estrangement, never seeing their children again, or an empty seat at the kitchen table forever,” Ryan said. Social workers push for equal rights and fair treatment for all, including people who are LGBT. To learn more, visit the National Association of Social Workers’ Help Starts Here website. 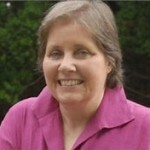 Dr. Ryan has worked tireless on behalf of LBGTQ adolescents throughout her career. So nice to see NASW highlighting her important work.